Scanadu, a startup based at the NASA Ames Research Center, has made the science-fiction of Star Trek a reality by creating a non-invasive tricorder that, within 10 seconds, can gather medical information about a person and then relay it to their smartphone. The device, known as the Scanadu Scout, has been in development for over two years and can measure blood pressure, temperature, ECG, oximetry, heart rate and breathing rate. 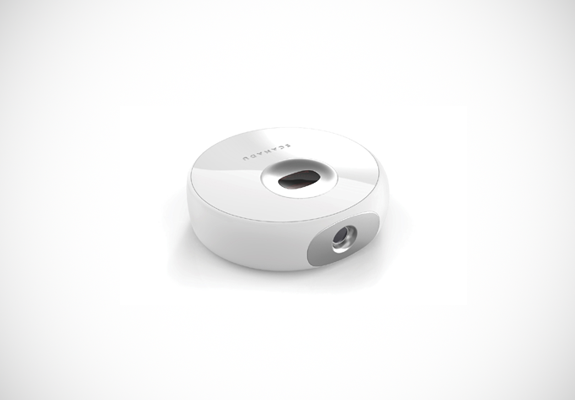 The brainchild of renowned designer Yves Béhar, the Scanadu Scout could transform how medical diagnoses are performed. The device has a 99% success rate, and it could potentially decrease hospital readmissions and the costs of managing chronic conditions for patients and insurance companies alike. 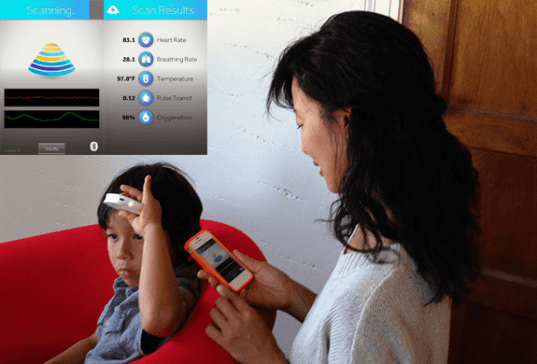 The Scanadu Scout works by simply being placed upon the forehead – within seconds, a patient’s stats are displayed on a smartphone. This allows patients and practitioners to analyze, track, and trend vitals with unprecedented simplicity. It’s currently only a prototype pending FDA approval, but Scanadu is planning to use donations to collect data and speed up its application for market approval as an over-the-counter consumer-grade diagnostic tool.